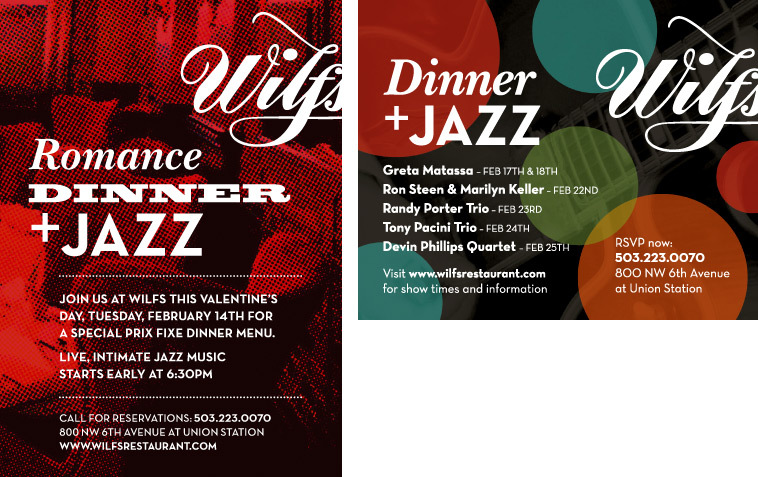 I know it often seems that you can just add “+ Jazz” to an advertisement and wait for the awards to come piling in. If only that were true! But, almost everything does sound just a little bit cooler if you add some Jazz. Cute little kittens + Jazz. Chocolate cake + Jazz. Even something bad, like traffic accident + Jazz. They all sound just a little bit groovier when you add those 4 simple letters. Wilfs is no exception. They have great dinner, cocktails, and a romantic atmosphere and they always bring the “+ Jazz.” Oh, yeah … dig it.